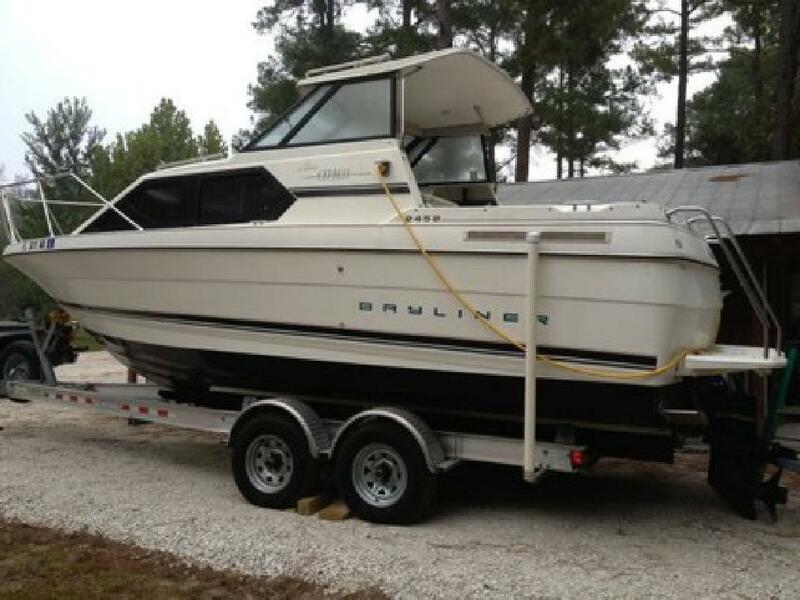 Bayliner Express Cruiser. Excellent condition. Very Clean. Low hours (just over 500). On almost new trailer. will consider trade, up or down, for Trackhoe, Trike, Travel trailer, or interesting Antique Auto. V Berth & Convertible Dinette sleeps 4 real good friends, best offer, Boat is fully Coast Guard equipped, call Raymond 904-282-.